IN HIS own words, it's been a "fairly chequered" five-year journey to bring a 24/7 truck stop to Miles, said local developer Glenn Tilly. Glenn and his wife Sharon never wavered in the pursuit of their bold, multi-million dollar project. 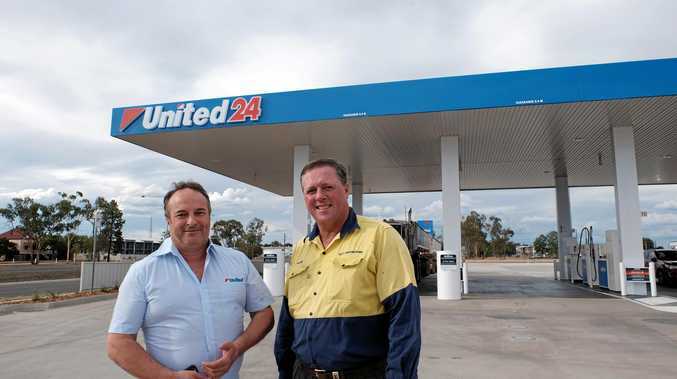 They were rewarded this week, with the opening of a 24/7 United Petroleum, specially built to cater for large three-trailer road trains. 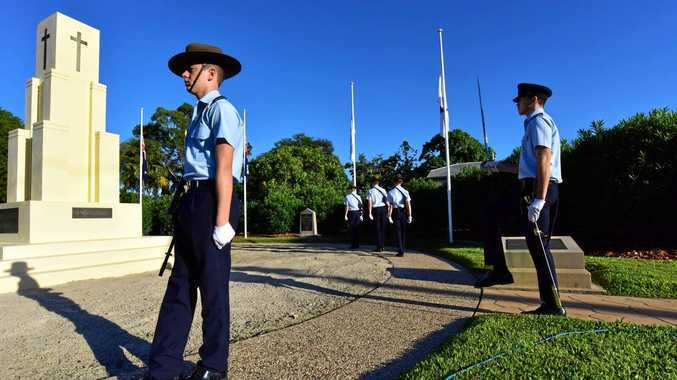 "It was very rewarding the other day to see the first road train come through," Mr Tilly said. "There have been a couple of other moments along the way that will stick with me - the first slabs going up and fuelling up the tanks last week. That was very gratifying." The truck stop will employ 18 locals on a rotating roster, catering for truckies as road trains destined for Melbourne, Cairns, Brisbane and Darwin transect the arterial crossing of the Leichhardt and Warrego highways. United Petroleum national operations manager Yatish Prasad promised the new truck stop would offer "competitive fuel pricing", and a 24-hour food service and convenience store. As for the Tillys, with the truck stop now anchoring their industrial park, it's time to turn their attention to selling off their remaining lots. When asked whether another truck stop was on the cards, Mr Tilly laughed and said "no". But this is also unlikely to be the Tillys last big project. "I like a challenge and I like to do my own projects," he said. The United Petroleum truck stop opened on Thursday last week and can be found on the Leichhardt Hwy, just south of Miles.